When last year’s Eugene Emeralds team made the Northwest League playoffs, they were riding high on elite pitching and some hot hitters. Those hitters went cold in the championship and the Ems had to settle for second place. This year, most of that team will be in South Bend to try and recapture their winning ways. Led by an elite starting pitching staff, and a mix of college bats and young international players, the South Bend Cubs have a legitimate chance to get in the Midwest League playoffs in 2018. What South Bend has is an outstanding pitching corps. 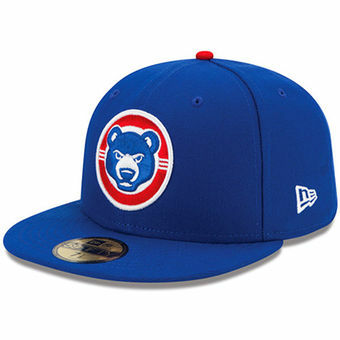 Jose Albertos is only 19 and is already one of the top prospects in the Cubs’ system. Armed with a mid 90s fastball and a devastating change, Albertos just needs to improve his curve this year and to get in 100 innings to continue his development. Javier Assad and Jesus Camargo are two other Latin pitchers who will be in the South Bend rotation along with the Cubs 2017 second round pick Cory Abbott. Assad has a mid 90s fastball that he is learning to control while Camargo has a changeup that’s on par with Albertos. As for 2nd round 2017 draft pick Cory Abbott, his affinity for Noah Syndergaard inspired Abbott to come up with a slider that began to devastate hitters at the college level. Abbott got in a few innings at Eugene last year, but we will really see what that slider can do this spring. The Cubs first round pick in the 2017 draft, Brendon Little, should be in the rotation at South Bend. He is going to be working on fastball command. If he gets his fastball control down, he is going to take off as he has a pretty good curve already and has the makings of a good changeup. He may take some time to get his consistency down. Just last week, he was devastating for 5 IP with 5 Ks while only allowing 1 run. Hopefully, he can maintain that kind of performance and develop a good, working rhythm. Bailey Clark, Erich Uelmen (sleeper pick), and Rollie Lacey are still in competition for one starting spot and most will probably be piggyback starters the first part of the year. Clark is back throwing in the mid 90s and has pitched very well at times in spring training. Catcher Miguel Amaya will be 19 this year and is armed with a rifle for a right arm. His quick release time and accuracy threw out almost 50% of runners last summer while at Eugene. He got off to a poor start at the plate but recovered to hit almost .300 in August. He has the potential for power as he continues to grow into his body. I cannot wait to see him throw down the second almost every night. There were several draft picks from last summer that debuted at Eugene and showed promise. Austin Filiere from MIT played third base and showed that he has the potential for power as well as a very good eye at the plate. He’s been seen playing mostly first base in spring training. One of my favorite hitters to watch last year was second baseman Jared Young. It took him a while to get going at the plate but he never changed his approach even when he was not hitting well. Outfielder Brandon Hughes is an exceptional athlete from Michigan State who is a switch hitter and could develop some power with his size at 6’2″ and 215 pounds. infielder Johnny Bethencourt was one of my favorite players to watch hit. He’s not going to hit a lot of homeruns but he’s going to spray the ball all over the field. The issue with Bethancourt is just exactly where to play him as he struggles defensively. It also looks like spark plug Yeiler Peguero will be returning to the Midwest League after an injury plagued 2017. He should play a mix of second and short. I would lay money on Cory Abbott. His college experience should help him to be a bit more dominant than Albertos who is still struggling with his curve at times. Two other players who might make the roster at some point this spring are two guys that had really good camps. Luis Hidalgo played for three seasons in the Dominican and Venezuelan Summer Leagues before coming to Mesa late last year. He destroyed the Arizona Rookie League in a short time there. If he plays at South Bend, I am sure he’s going to do some damage with the bat. Christopher Morel is a former shortstop who moved over to third-base. He has the power, he just doesn’t have the plate discipline to go with it, or at least not yet. He’s been doing very well in spring training including driving the ball out of the ballpark, his specialty. I would not be surprised to see him at South Bend later. I feel confident in saying that this team is going to pitch well. I’m not so sure about how the hitting is going to develop, and what the bullpen will look like. But, manager Jimmy Gonzalez has a track record of crafting teams that can put some runs on the board. When it comes right down to it, South Bend is only going to go as far as there are bats will take them. They have plenty of starting pitching.